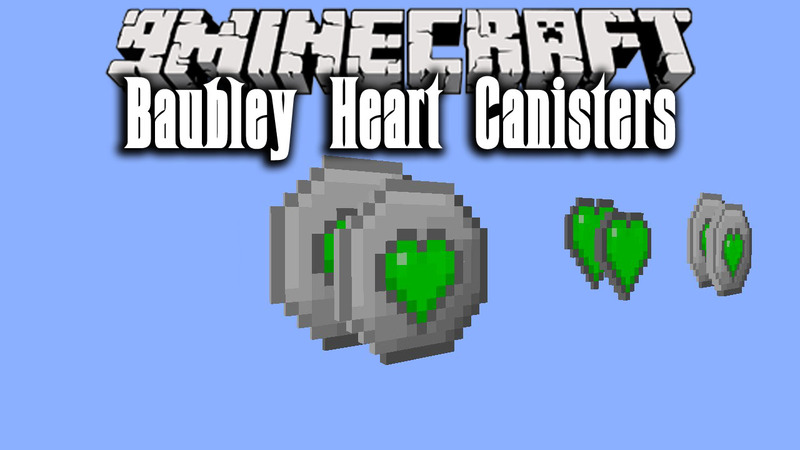 Baubley Heart Canisters Mod 1.12.2 brings back the old Tinkers Heart Canisters in a new Way. They go in a Bauble slots. Red Hearts: Drop from enemy mobs. Orange Hearts: Drop from boss mobs (I.E. Wither). Green Hearts: Drop from the Enderdragon.